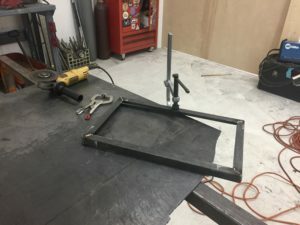 Something I had wanted to learn for many years is basic welding. 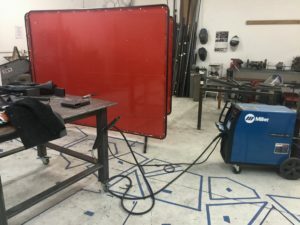 I’m not planning on switching careers or anythingThough you can make an excellent living as a welder and I would encourage any young person interested to learn about that trade. ; I just wanted to try it myself. As a structural engineer, I’ve spec’d countless welds on paper. 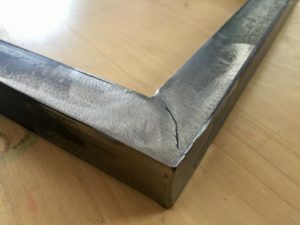 I’ve only ever done very limited metal work (mostly just cutting, drilling, & bolting), and I wanted to get a feel for what it’s like to join metal with welds. I’ve learned from some of my engineering friends, as well as watching Grady at Practical Engineering, that I’m not alone in this interest. But it’s not necessarily easy to find a teacher for a curious person rather as opposed to a student who is seeking a career. I don’t have a lot of friends that weld, either. But, maker spaces often have introductory courses. So, I found a great “Intro to Metals” course at Fort Houston here in Nashville. For better or worse, I was the only person who signed up that Saturday, so I got a three hour, one-on-one course from Courtney Daily, who is a local artist who happens to work & teach at Fort Houston. I really recommend checking out Fort Houston for all sorts of classes. 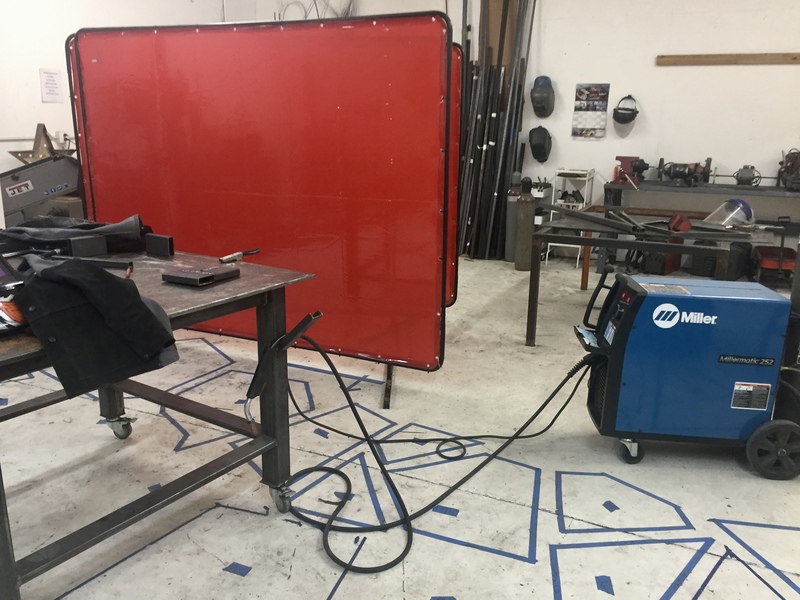 Courtney, especially is a great teacher (and, from what I saw of her work, a talented artist and damn fine welder). 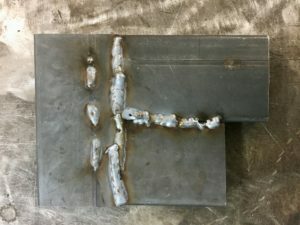 I first made a bunch of really ugly test welds to practice on some scrap. We also practiced cutting & drilling, which though not new to me was (is) still something I had a lot to learn about. 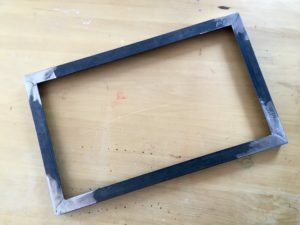 My little beginner project was to make a frame. I made a rectangle out of 1″ angles. Since we had the extra time, I also got to spend some time grinding it down (which probably took longer than actually welding did, given my work). It ended up looking better than I would have expected for the my first project. I’ll probably find a way to mount some art in it (or maybe use it for a guitar pedal board, though it weighs a lot for that). So, as I was finishing up grinding I made the comment that it looked shiny now, but it’d probably rust over by the next day. Courtney corrected me that the steel would stay fairly polished where I ground it for a long time. Well, it’s over three months later and it hasn’t rusted a bit. Reminds me I always need to listen & learn.